6,000 passengers donate their kisses to create unique piece of art for Pride London. 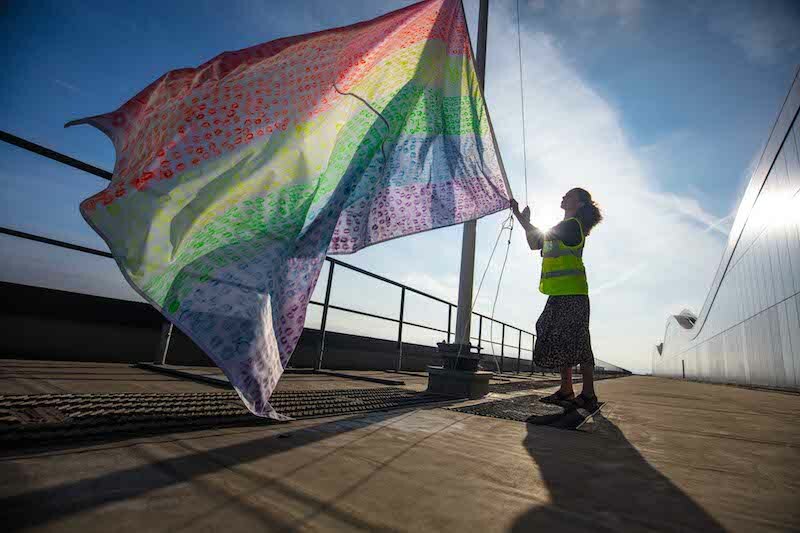 The flag started life in Terminal 2 on 1 July, positioned in departures, with passengers able to get involved and donate their mark of love for Pride by stamping their kiss in a choice of vibrant red, orange, yellow, green, blue or purple lipstick, onto the blank canvas. The artwork was quickly populated, with 84,303 passengers passing through the terminal, taking 6,000 kisses to be completed, with the final kisses donated by staff across the airport’s terminals as it took a tour of the control tower, fire station and BA Crew Centre, before being sealed and placed on the flag pole. Heathrow has commissioned a unique interpretation of the iconic rainbow flag, created entirely by 6,000 international passengers’ kisses. The Heathrow Pride takeover also sees the Heathrow logo receive a Pride makeover and many digital screens across the airport transformed into vibrant displays of rainbow colours. Leading the celebrations was the Heathrow Proud Network, an internal staff group that works together to make a difference to the experience of LGBT+ colleagues and to promote a level playing field of opportunity. 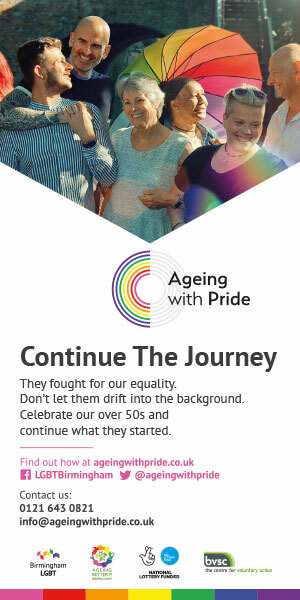 The group has run a competition with Gay Star News, to find the new faces of Heathrow whose images will take pride of place across the terminals. The winners, all members of the LGBT+ community, include; Nicola Dumbleton, Security Manager at Heathrow; Steph Constantinides, Facilitator at Heathrow; Nikki Hayden, Transgender Activist; Mark Small/Vanity Nightmare, London Drag Queen; Ricky Tanna, Pride Performer and Adam Lee Mroz, from Gaymers Inc, an LGBT gaming community. Previous London schools design Pride floats in time for Pride In London!